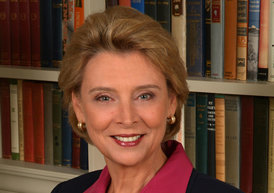 Governor Gregoire's administration faced unprecedented economic challenges. Likened to the Great Depression, closing the budget shortfall has impacted the services we provide to citizens on every level. The business of government does not come with a how-to handbook. No precedent exists for leaders to refer to when they wonder how past leaders had managed through such difficult times. Unprecedented times call for unprecedented leadership at every level of government. This compendium of resources below help tell the story of how Governor Gregoire and Cabinet leaders managed during these unique times.